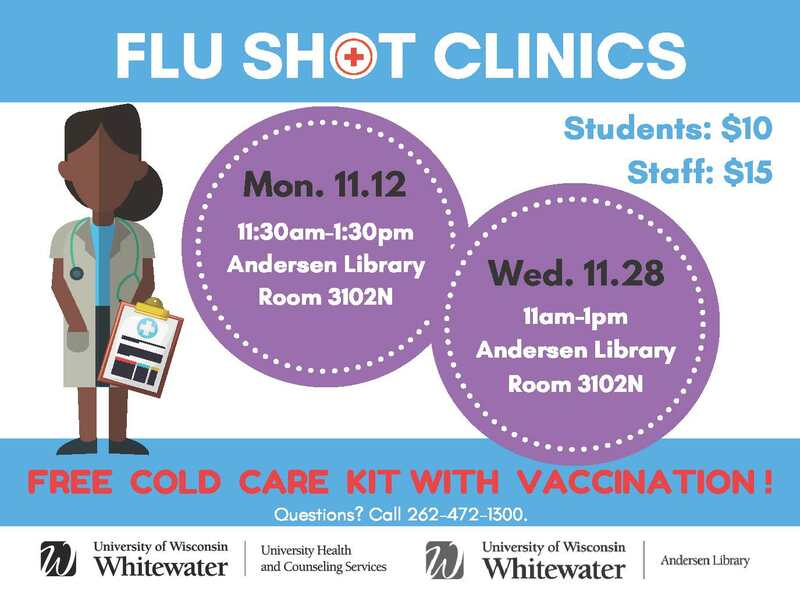 University Health and Counseling Services (UHCS) is once again holding their Flu Shot Clinic here at the Andersen Library. At $10 for students and $15 for staff members, getting a flu shot is made quick, affordable, and easily accessible. Visit room 3102N in the library on either Monday, Nov. 12th from 11:30 a.m. to 1:30 p.m. or Wednesday, Nov. 28th from 11 a.m. until 1 p.m. and get your vaccination! Plus, you receive a FREE ‘Cold Care Kit’ compliments of UHCS with some essentials to ensure you fight the bad stuff and stay healthy this flu season.